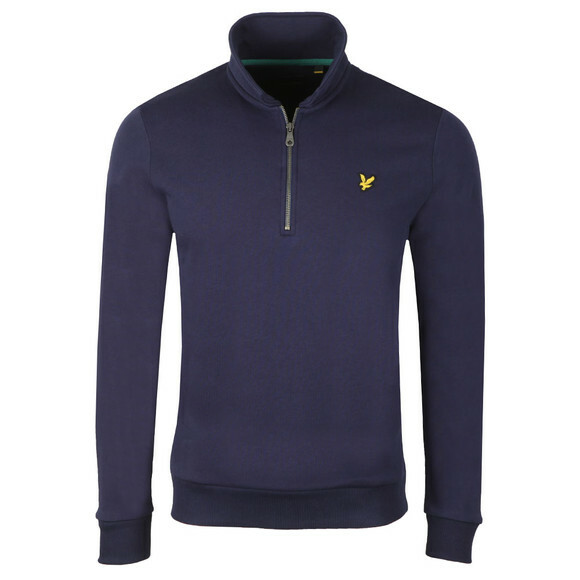 Lyle & Scott 1/4 Zip Sweat in Navy. 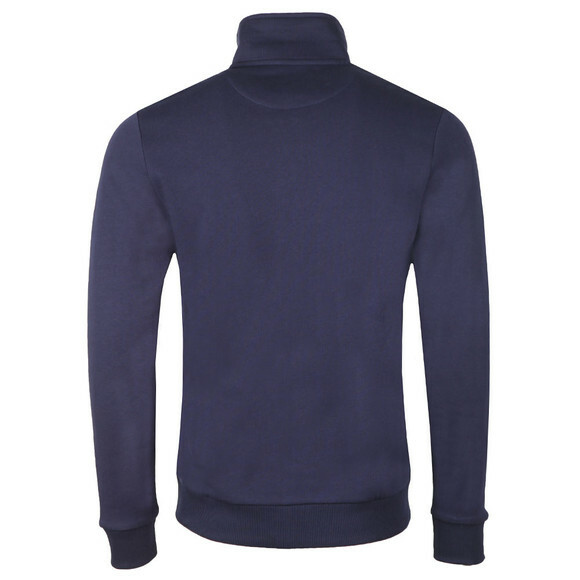 An overhead style sweater with a zip-open neck and pointed collar. 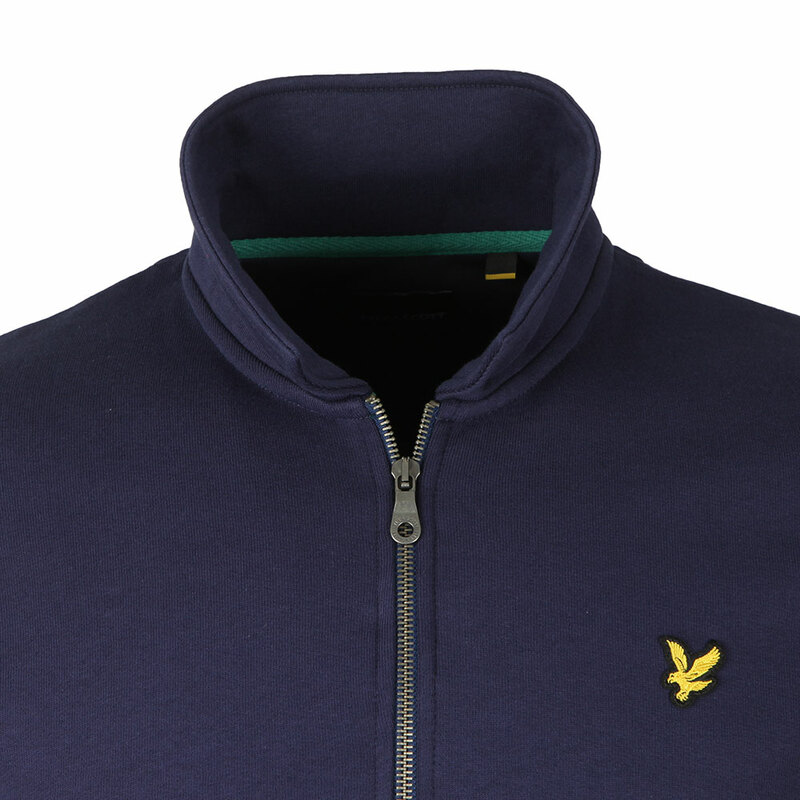 A golden eagle logo is embroidered on the chest.